Dartmouth Alumni Magazine (DAM) is an editorially independent magazine for Dartmouth College alumni. The Magazine’s purpose is to serve principally the entire Dartmouth Family including the Professional Schools and its other graduate programs. The goal is an informed and engaged alumni body. 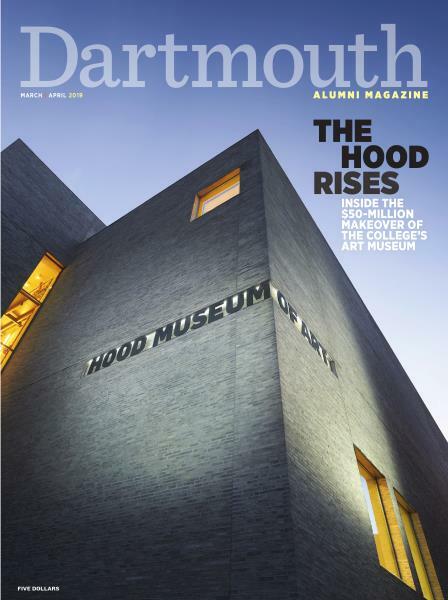 Therefore, the Magazine reports the news of the College and its alumni, provides a medium for the exchange of views concerning College and alumni affairs, and in other ways provides editorial content that relates to the shared and diverse experiences and interests of Dartmouth alumni. Ownership: Dartmouth Alumni Magazine (“the Magazine”) is an unincorporated publication issued periodically by its owner and publisher, Trustees of Dartmouth College, a New Hampshire corporation (“the College”). The Vice President for Alumni Relations shall, subject to the final authority of the Board of Trustees of the College, represent the interests of the College as owner and publisher with respect to all matters relating to the Magazine.